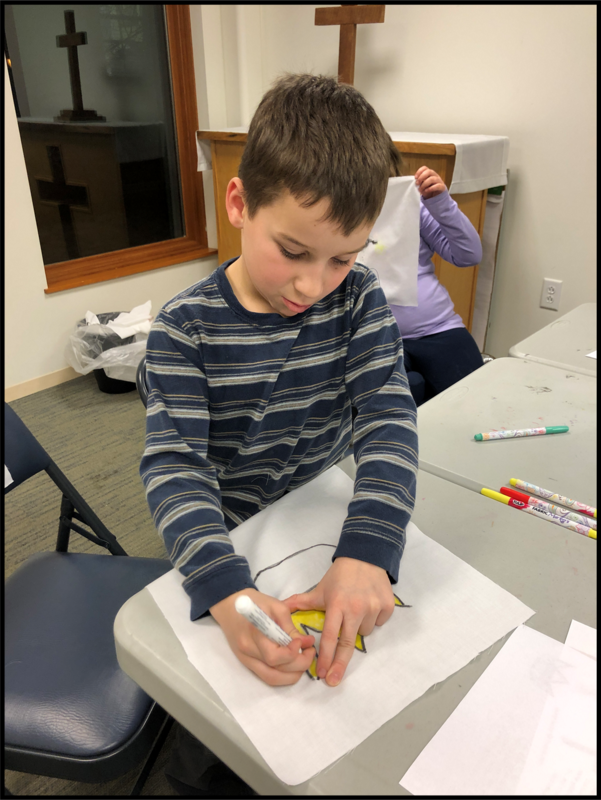 On March 5th, between helpings of delicious pancakes, bacon and fruit prepared by the Youth Group, the Sunday school children created special panels with an Easter theme that will eventually be sewn into a quilt for Lutheran World Relief. Join the Women’s Ministry “Stamping Angels” and learn how to make beautiful stamped cards – no experience necessary! The next event will take place on Tuesday, April 16th, from 6:00 to 9:00 in Faith Fall. Contact Jance Denzler at [email protected] for more information. Join us this Wednesday, April 3rd for our traditional mid-week Lenten Soup Supper and Service. Supper will start at 6:15 PM in Faith Hall, and we will proceed to the sanctuary for Lenten Vespers at 7:00 PM. Candlelight vespers are in the format of Holden Evening Prayer and the Apostles’ Creed is the theme. This week is The One who gives us faith. Our soup chefs for April 3 are Marianne Dise and Deena Salvatore. Ann Rahmann and Linda Tucker will make soup for April 10. Thank you ladies! Join us this Wednesday, March 27th for our traditional mid-week Lenten Soup Supper and Service. Supper will start at 6:15 PM in Faith Hall, and we will proceed to the sanctuary for Lenten Vespers at 7:00 PM. Candlelight vespers are in the format of Holden Evening Prayer and the Apostles’ Creed is the theme. This week is The One who saves us. Our soup chefs this week are Marcia Davidson and Mickey Johnson. Thank you ladies! We still need one volunteer to make soup on April 3. Please sign up on the sheet in Fields Hall if you are interested. Join ELCA Lutherans from all over New Jersey for “Faith, Hope and Love: Building Safer and More Welcoming Congregations for LGBTQ+ Youth.” on Saturday, March 23rd. This incredible annual event is filled with worship, music, workshops and more. Don’t miss this fun, educational opportunity from 9 AM to 3:30 PM at Abiding Presence Lutheran Church in Ewing. Lunch is included. Questions? Interested in attending? Contact Emily Rochotte. Registration ends Monday March 18th. Please visit the Washington Township Public Library during the month of February to enjoy an art exhibit featuring work by our own Gale Tucker. Gale is a versatile and talented artist, and we hope you all will come out to view his beautiful art. Thank you for sharing your talent with our community Gale! It’s that time of year again! Ministry Leaders should have already received an email request to complete relevant Annual Report sections. Please do so and return to Laura in the office as soon as possible. Thanks so much! On January 13th Pastor Ingrid will be installed as the permanent pastor of Zion Lutheran Church. Please join us for a single service at 10:30 am. Bishop Tracie Bartholomew will preside over the Rite of Installation, and Pastor Bruce Davidson will preach the sermon. Pastor Ingrid will take her place in the history of Zion, becoming the thirtieth Pastor of Zion and only the second woman to lead the congregation. We invite the congregation and guests to join in a celebratory pot-luck luncheon in Faith Hall following the service. Please be sure to sign-up on the board in Fields Hall so we can get a good head count. Contact Marge Scudese if you’d like to help. Pastor Ingrid will be installed as pastor of Zion on Sunday, January 13th at 10:30 AM. Note: There will be no 8:00 AM service on that day. Pastor Bruce Davidson will preach and Bishop Tracie Bartholomew will preside at the Rite of Installation. Let’s turnout to celebrate this milestone in the life of Zion! More details to come in the January LVL newsletter. The Community Tree Lighting will take place here at Zion on December 2nd. 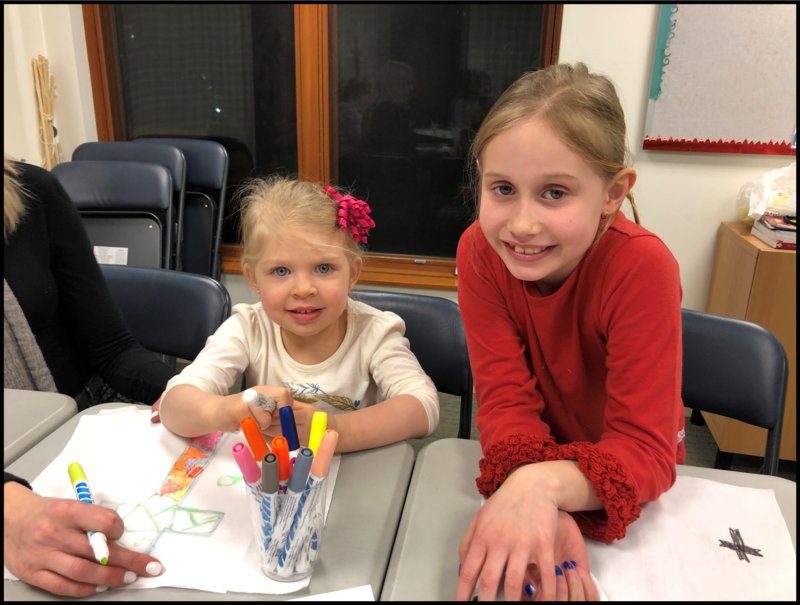 The Long Valley Junior Women and the Garden Club have put together a schedule of events that are happening town-wide – culminating with the tree lighting and cookies in Faith Hall. Please see the fliers for all the events associated with the day on the bulletin board in Fields Hall! We are looking for volunteers for the evening to set-up, usher (we need about 4), 2-4 folks to help with a kid’s movie in Fields Hall, and some folks to help control traffic in the parking lot and direct people into the sanctuary, etc. If you can help or have any questions, please contact Megan Davis at [email protected] or by cell at (908) 798-8168, or Laura in the office.